Since I discussed Instagram last month, the photography platform has added video to its mix. Some are therefore predicting the demise of Vine, Twitter's video app, which was launched in January. So it seems appropriate to take a closer look. Video makes up 51 per cent of mobile data traffic, making it an important proposition for charities that want to reach new audiences. Vine is one of the key options available - it already boasted 13 million users before it was launched on Android and Kindle Fire last month. The busiest Vine users post 14 clips a day. 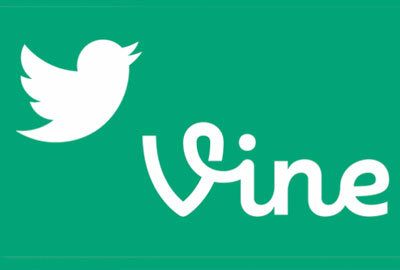 Vine clips are about six seconds in length, forcing you to get to the point. So how can budding movie moguls get the best out of this app? * Vine has stop and start filming capabilities, so you can use various camera angles or stop-motion animation techniques. It is a great way to weave a fairly complex story, as put to the test by the Tribeca Film Festival for its #6SecFilm contest. * Tell your story episodically. Kids Company released a series of clips showing children in neglect, with a 'thank you' film showing each child in a safe environment, which was unlocked with a text donation. * Loop your clip, putting your message on repeat. Diabetes UK used this facility to raise awareness simply and effectively of the four key symptoms of the disease. (If you fancy some arty inspiration, Lego Vines http://legovines.tumblr.com is beautiful). * As with all things social, engage with supporters, as Asthma UK did when it asked donors to show how they'd celebrate if a cure was found. And as Vine includes social sharing, you can engage with the public wherever they are. Instagram's 15 seconds of video, 13 filters and relationship with Facebook will no doubt make it successful. But don't underestimate Vine. If you can promote your cause in six seconds, just think what you'll be able to do once you engage supporters with the rest of your digital communications.